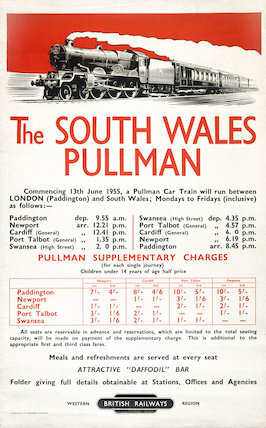 'The South Wales Pullman', BR poster, 1955. The South Wales Pullman', BR poster, 1955. Poster produced for British Railways (Western Region), advertising train timetables and fares. Dimensions: 1016mm x 635mm.